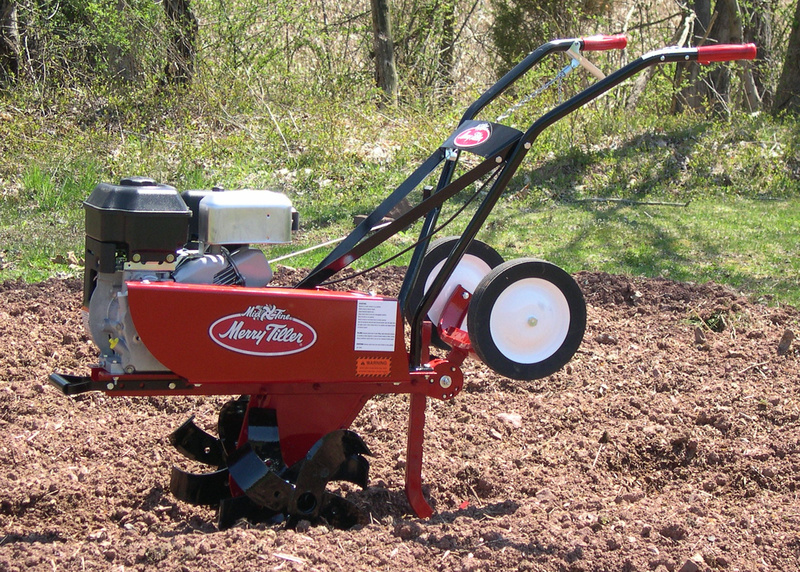 The Merry Tiller Roto-Tillers are mid-tine style engine powered roto-tillers available in 4 mid-tine models; three residential models and one industrial/commercial model is available; also available is the larger RT rear tine model. 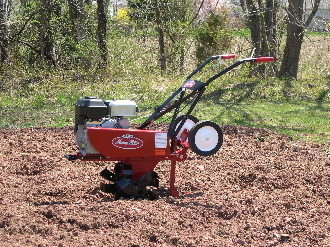 The Tiny Tiller Model features a durable worm gear transmission, and the larger models: Minnie; Suburban; International model; and rear tine models all feature a sprocket and chain drive transmission. A model is available to do your smallest up through your largest tilling jobs; in addition to tilling, several optional accessories are available to make your tiller more versatile. 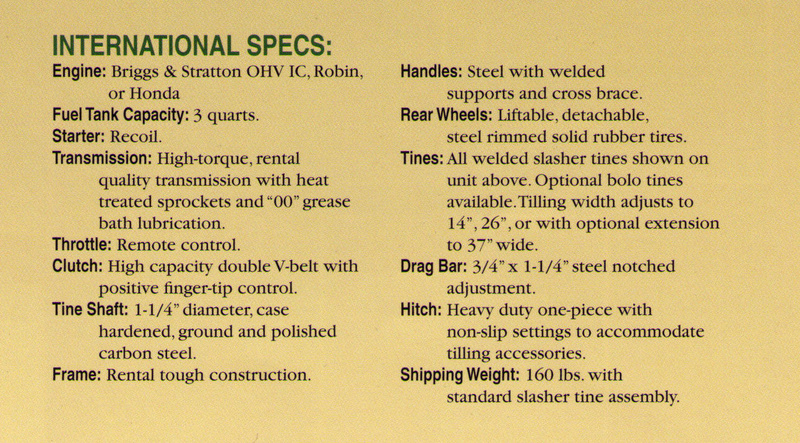 The following attachments are available for Minnie, Suburban; and International Models (not all attachments fit all models see page below): slasher tines (slasher tines are standard on all models); pick tines; bolo tines; adjustable plow bar; aerator tines; plows; finger tines; and bar-lugged wheels.